A fresh clothing piece for winter. I really liked brown shearling coat in the movie. It’s definitely stands out among it’s counterparts. The color scheme was outstanding, complementing the coats style perfectly. This jacket is expensive, no doubt about that. But I think it’s wise to spent on a clothing piece that lasts 5-7 years, than buying a new jacket every winter. 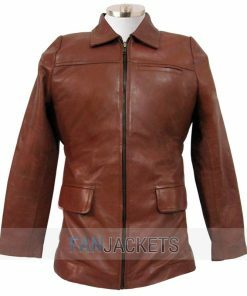 Want to enhance your winter fashion then you will definitely love to wear this Harry Hart shearling coat. Colin Firth wore this attire as Harry Hart in the movie “Kingsman: The Golden Circle”. This Harry Hart coat is made from suede leather. 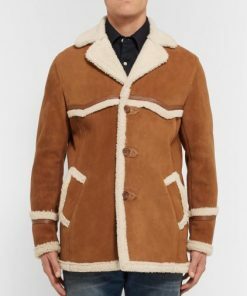 It has faux shearling in the collar and in the inside. It’s an ideal outerwear for the cold season which you can try casually and even as a daily outfit. So what are you waiting for? Grab it now!